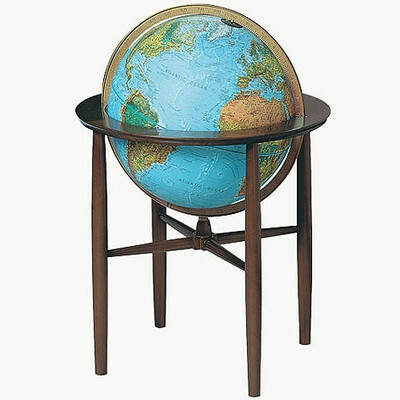 The 16' diameter Austin floor globe, by Replogles, features topographical continents surrounded by beautiful blue oceans that glow when illuminated from within.. 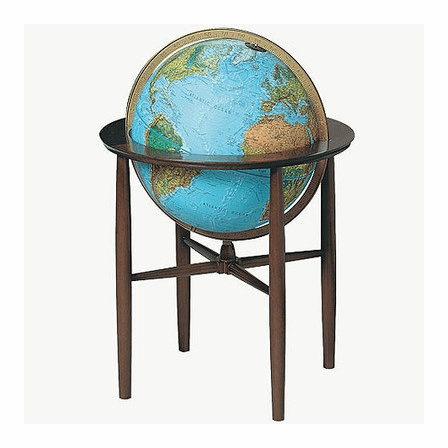 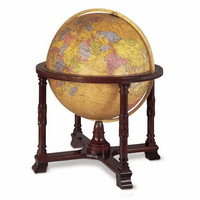 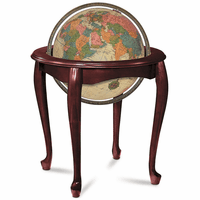 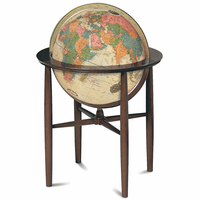 The globe has a full die-cast numbered meridian, attached at the poles, and is set in a solid hardwood base that circles the globe horizontally and allows it to spin freely. 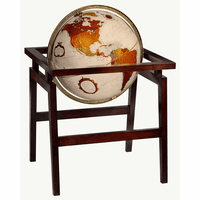 The total dimensions are 22' x 22' x 31', creating both a display piece and a conversation piece for home or office!